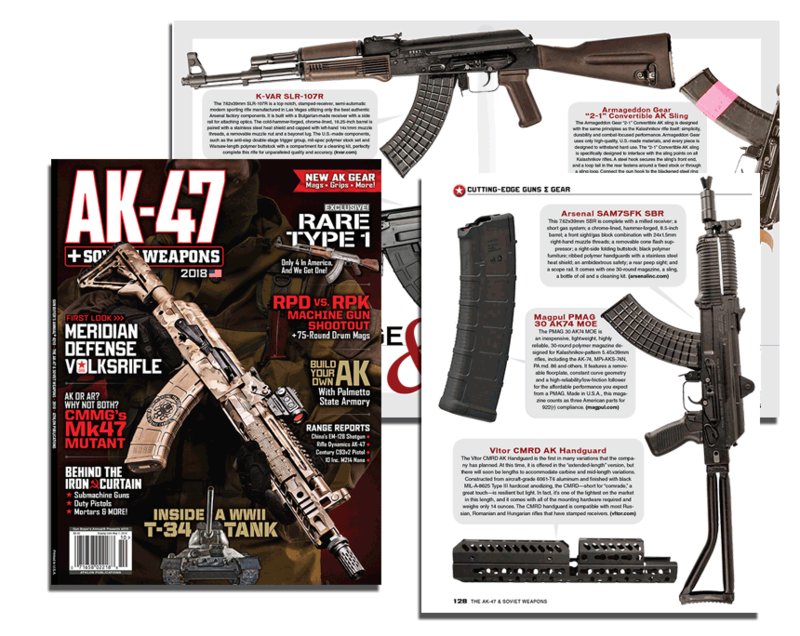 Article about our SLR-107R and SAM7K SBR rifles Featured in Gun Buyer's Annual #210 - The AK-47 & Soviet Wearpons - 2018, Athlon Publications. Issue: May 7, 2018. 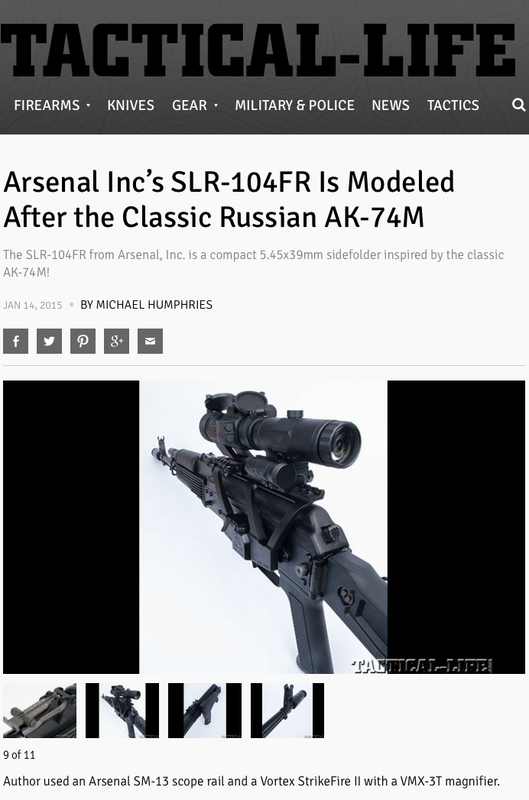 Article about our SLR-104FR RIFLE in Tactical-Life.com website, January 14, 2015. 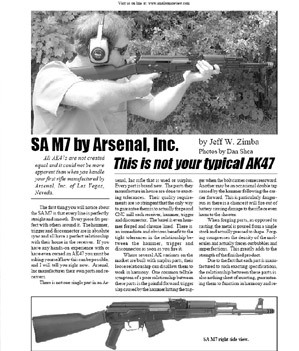 Article about our SAM7SF RIFLE in "Guns & Ammo" magazine, January, 2014. 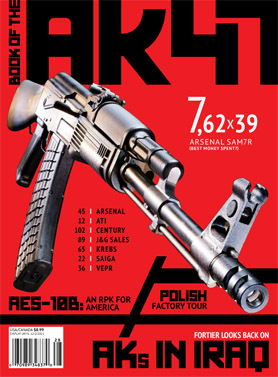 Article about our SAM7R RIFLE in "Guns & Ammo" magazine, December, 2013. 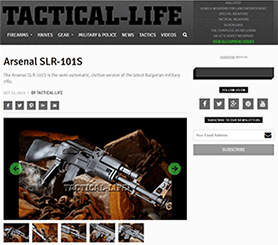 Article about our SLR-101S RIFLE in Tactical-Life.com website, October 15, 2013. 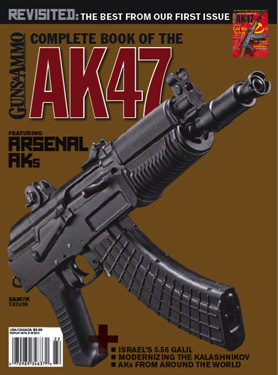 Article about our SAM7K PISTOL in "Guns & Ammo" magazine, March, 2013. 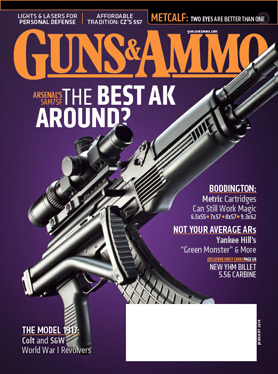 Article about our SLR-106 and SLR-107 rifles in "Small Arms Review" magazine, Vol. 62 Issue no. 15 - June, 2008. 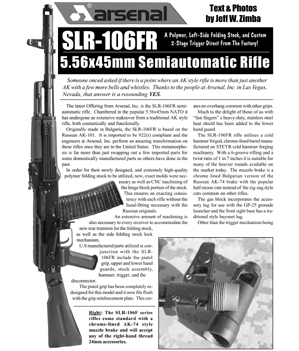 Article about our SLR-106FR in "Small Arms Review" magazine, Vol. 10 Issue no. 12 - September, 2007. 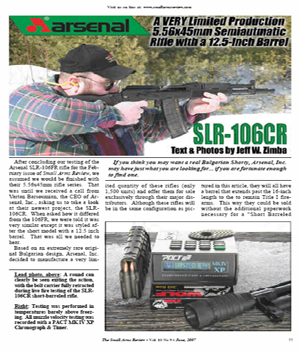 Article about our SLR-106CR in "Small Arms Review" magazine, Vol. 10 Issue no. 9 - June, 2007. 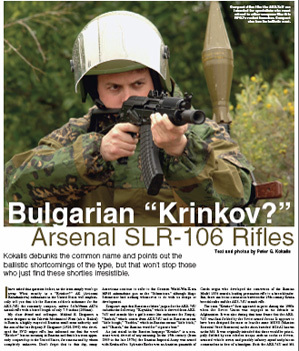 Article about our SLR-106FR in "Small Arms Review" magazine, Vol. 10 Issue no. 5 - February, 2007. 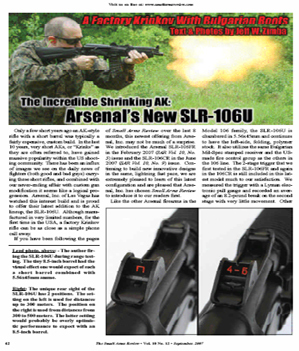 Article about our SLR-106 in "Shotgun News" magazine, Vol. 60 Issue no. 33 - November, 2006. 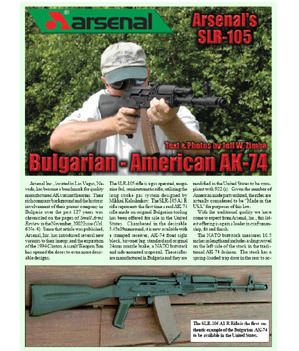 Article about our SLR-105 in "Small Arms Review" magazine, Vol. 9 Issue no. 1 - October, 2005. 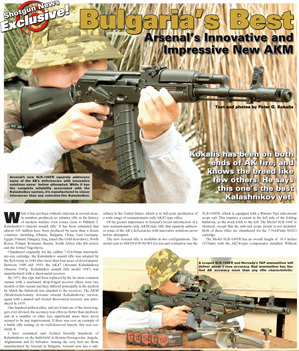 Arsenal Inc., Located in Las Vegas, Nevada, has become a benchmark for quality manufactured AK variant firearms. Their rich company background and the historic involvement of their parent company in Bulgaria over the past 127 years was chronicled on the.. Read more.. Article about our products in "Shotgun News" magazine, Vol. 59 Issue no. 12 - May, 2005. All of these rifles have four-groove barrels with a 1:9.45 (1:240mm) right-hand twist. The chambers and bores are chrome-lined. Read more.. Article about our products in "Small Arms Review" magazine, Vol. 6 No. 2 - November, 2002. The first thing you will notice about the SA M7 is that every line is perfectly straight and smooth. Every piece fits perfect with others around it. Read more..